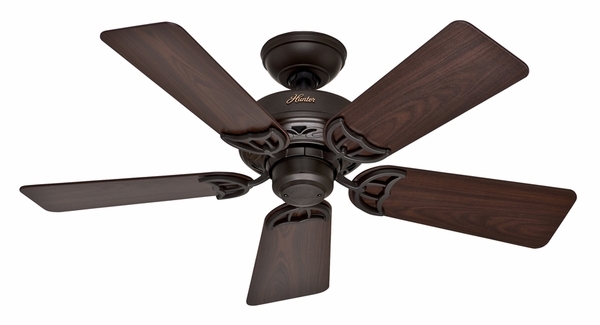 Hunter 52066 Hudson Ceiling Fan with Blades - 42"
Home > Home Improvement > Fans > All Ceiling Fans > Hunter 52066 Hudson Ceiling Fan with Blades - 42"
With a reputation for making the best, highest quality ceiling fans on the market, the Hunter Fan Company presents the Hudson 42 inch Ceiling Fan. 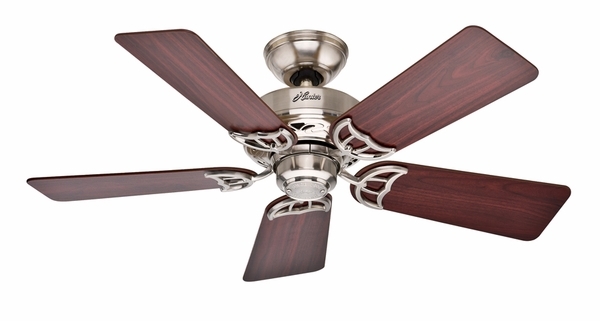 Blending well with both traditional and modern decor, the Hudson Ceiling Fan is ultra-versatile, and will make a beautiful focal point in any area of the home. The Hudson is available in your choice of white, new bronze, or brushed nickel finishes to complement any existing decor style you already have. 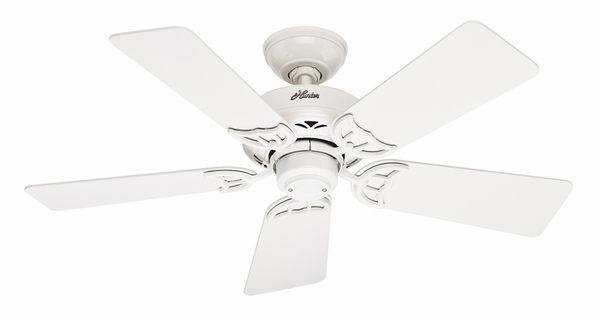 This ceiling fan is designed specifically to cool or warm smaller rooms up to 225 square feet in size, and is for inside/indoor use only. Can this fan be flush-mounted? This includes a downrod that must be installed. Subsequently, the fan cannot be flush-mounted.